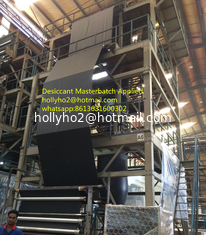 Desiccant Masterbatch is applied in many type of products. Main purpose is to eliminate the water contained in recycle material or even some factories use it to eliminate the water contained in filler masterbatch or color masterbatch. Its usage is very simple. 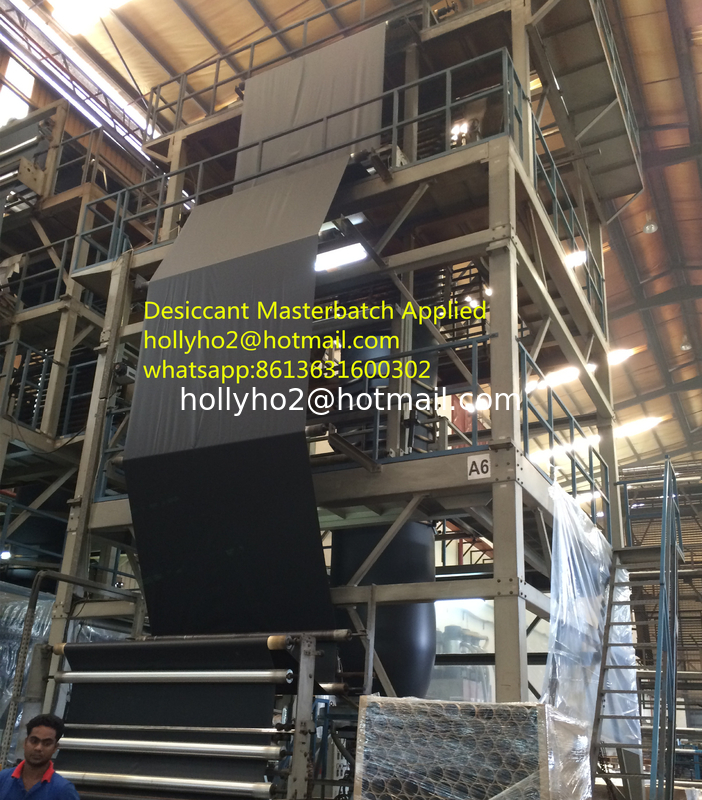 Just simply mixed with raw material like PE resin, color masterbatch, filler masterbatch, etc before going production, with the adding rate of 1-5%, no need to change process machine. 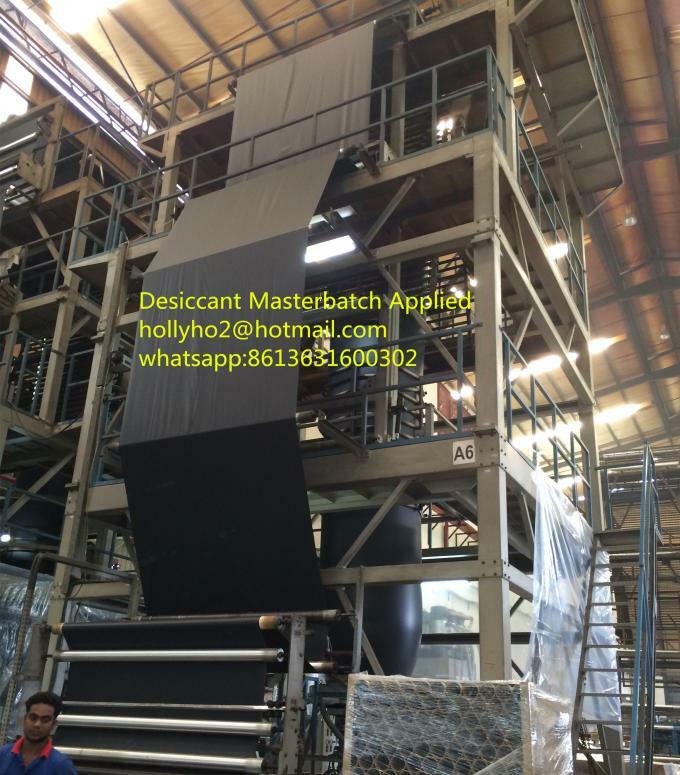 Attached our desiccant masterbatch applied in industrial film blowing at the site of our customer factory.